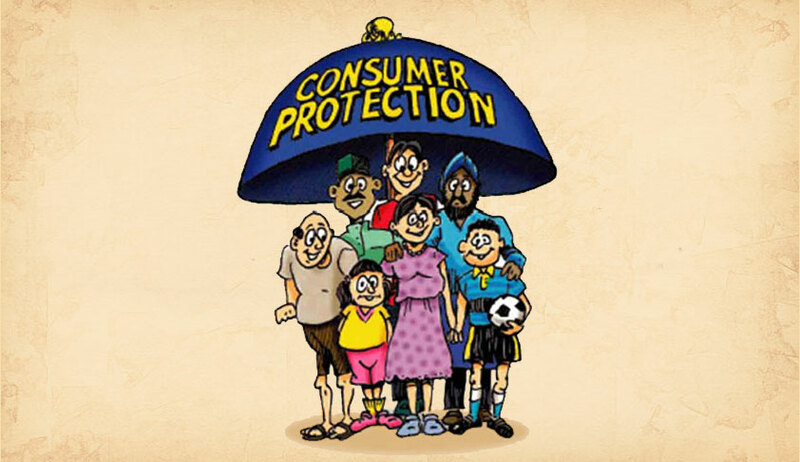 Although the working of the consumer dispute redressal agencies under the Consumer Protection Act of 1986 has served the purpose of the legislation to a considerable extent, the disposal of cases has not been fast due to various constraints. Several shortcomings have been noticed while administering the various provisions of the said Act. The emergence of global supply chains, rise in international trade and the rapid development of e-commerce have led to new delivery systems for goods and services, and have provided new options and opportunities for consumer. Misleading advertisements, tele-marketing, multi-level marketing, direct selling and e-commerce pose new challenges to consumer protection. With a view to fill the institutional void in the regulatory regime extant, the Bill envisages the creation of a Central Consumer Protection Authority to address the issues of false or misleading advertisements which are prejudicial to the interests of the public and unfair trade practices as defined in section 2(47) of the Bill, with an investigation wing to probe into instances thereof. The authority will also be empowered to initiate class actions in respect of the violation of “consumer rights” for the purpose of section 2(9) of the Bill, and enforce recall, refund and return of products etc. The authority may, after investigation, direct the concerned trader, manufacturer, endorser, advertiser or publisher of the misleading advertisement to discontinue such advertisement or to modify the same. The Authority may also impose a penalty extending to Rs. 10 lakhs, and a further penalty of upto Rs. 50 lakhs for every subsequent contravention. In addition, a misleading advertisement shall attract a sentence of imprisonment of upto 2 years, and a further term of upto 5 years for every subsequent contravention. Interestingly, the Bill imposes an obligation on celebrity endorsers of any product or service to verify the veracity of the claims regarding the product or service before endorsing the same, failing which the authority may prohibit the endorser of a false or misleading advertisement from making endorsement of any product or service for a period which may extend to 1 year, and a further prohibition of upto 3 years for every subsequent contravention. Non compliance with the orders of the authority shall be punishable with fine or imprisonment or both. The Bill also empowers the authority to enable compounding of offences. An appeal from the orders of the authority shall lie to the National Consumer Disputes Redressal Commission. As a convenience to the aggrieved consumers, the Bill alters the territorial jurisdiction of the dispute redressal fora to include the place of residence or business of the complainant, in addition to that of the opposite party and the place of occurrence of the cause of action. The pecuniary jurisdiction of the district forum and the state commission is enhanced so as to be exercised in respect of defective goods or deficient services of value of upto Rs. 1 crore and Rs. 10 crores, respectively, from the existing limit of Rs. 20 lakhs and Rs. 1 crore. Further, both the district fora and the state commissions have been granted the power to review their orders. Where the national commission or the state commission is of the opinion that a matter involves the larger interest of consumers, the assistance of any expert, individual or organisation may be procured. Orders of the district forum, and the state and national commissions shall be enforced in the same manner as the decree of a civil court in accordance with the CPC. Failure to comply with the orders of the fora is punishable with imprisonment for a term not less than 1 month, extending to 3 years, or with fine, not less than Rs. 25,000, extending to Rs. 1 lakh, or with both. Further, the consumers shall be able to institute complaints before the fora electronically. Also, hearing and examination of parties may also be done via video conferencing. The Bill introduces an express provision in respect of Unfair Contracts, conferring jurisdiction on the state and national commissions to entertain complaints arising therefrom, in addition to complaints against defective goods and deficient services. An Unfair Contract shall be any contract between a manufacturer, trader or service provider and a consumer, requiring excessive security deposits from the latter for performance of contractual obligations, imposing excessive damages for a breach of the contract, refusing to accept early repayment of debt, permitting unilateral termination of the contract by the manufacturer, trader or service provider, allowing assignment of the contract to a third party to the detriment of the consumer or incorporating any unreasonable charge, obligation or condition to the disadvantage of the consumer. The Bill explicitly provides for entertainment by the statutory fora of claims for compensation under a product liability action for any harm caused by a defective product manufactured by a product manufacturer or serviced by a product service provider or sold by a product seller. The liability of a product manufacturer arises if the product contains a manufacturing defect, is defective in design, deviates from the manufacturing specifications or express warranty, or does not contain adequate instructions for usage. Even the mere seller of a product may be held liable if he has exercised substantial control over the designing, testing, manufacturing, packaging or labelling of a product that caused harm. Similarly, a product service provider shall be liable in a product liability action if the service provided by him was faulty or imperfect or deficient or inadequate in quality, nature or manner of performance which is required to be provided by or under any law for the time being in force, or pursuant to any contract. The Bill mandates the attachment to the statutory fora of a mediation cell and reference thereto of any complaint upon its admission, if it appears to the concerned district, state or national commission that there exist elements of a possible settlement between the disputing parties in the complaint. The Bill makes an express provision for the imposition of the punishment of imprisonment and fine for manufacturing for sale or storing, selling or distributing or importing products containing injurious adulterants, as well as spurious goods.